Black Sabbath began their touring cycle in support of the 1971 Master Of Reality LP in July of that year just a few weeks prior to the record’s worldwide release of July 20, 1971. 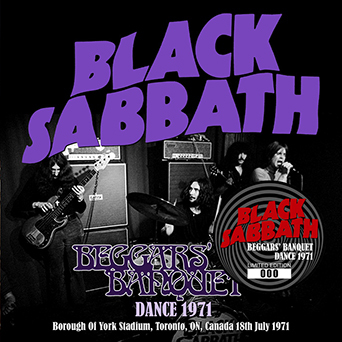 The tour would find Sabbath playing mid size theaters and sports arenas plus two festivals, the first was the Outdoors Rock Fest in Detroit, Michigan and the Beggars’ Banquet Dance Festival in Toronto, Canada. The bill consisted of headliners Three Dog Night, Humble Pie, The Grease Band, Yes, and The Guess Who. 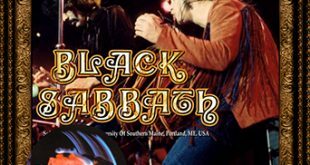 Black Sabbath’s set has circulated for some time in a good to very good sounding audience tape, there also exists a couple minutes of 8mm silent footage that can be viewed on Youtube. 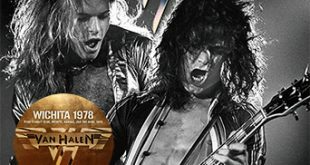 The video features shots from the crowd as well as from the stage, it was a beautiful sunny day, Ozzy was wearing a red fringed shirt and Tony Iommi was sporting a beard! The audio recording falls into the good to very good range and almost complete, the taper paused the machine between the songs to conserve tape. It is clear yet a bit thin sounding. Being an out doors event you can hear some phasing caused by wind and there is a bit of distortion present but it is minor and adds to the group’s sound, quite raw. 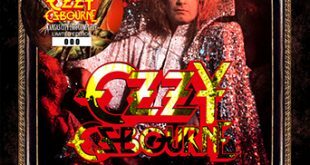 Ozzy’s vocals seem prominent in the mix followed by guitar and drums with Geezer’s bass being low in the mix, overall very enjoyable document. There has been a previous release of this material, Wicked Sabbath (ZA66) was released in the mid 90’s, this new release by Zodiac is a very welcome release. First off collectors get a chance to grab a prime 1971 Sabbath show, secondly the sound is a nice upgrade over the old Wicked Sabbath title. This new title comes from a 2nd generation tape that was shared on a well known tracker, the source for most of Zodiac’s releases. The clarity is much better on this title, the hiss is less and it has a more natural, warmer feel to it with much less distortion easily moving this from good to very good. The true test for me is to crank it up, where Wicked Sabbath’s distortion would become very apparent, this holds up better at louder volumes…folks we have a winner! The band’s performance is excellent, the good vibes of the festival audience and the wonderful weather seem to propel the band to find their mark early. By 1971 Sabbath had toured the world several times and are a formidable live act. N.I.B. is an excellent opener and sets the stage for the rest of the hour long set. War Pigs is aggressive, Bill Ward’s drumming is superlative. Sweet Leaf is one of only two songs from the not yet released Master Of Reality. For me, this song defines the sub genre of Stoner rock to a T, slow heavy riff and a vocal delivery that seems steeped in Marijuana smoke, the call to millions of young people to light up. Black Sabbath is ultra heavy, Tony plays a solo interlude usual for this time frame, it is gentle sounding than after two minutes he cranks up the volume and hits the chord leading into the classic from self titled first record. Even in broad daylight it wreaks an ominous tone, the slight distortion on Ozzy’s vocals sound, well, evil. His cry of “Oh no…please God help me” sounds as if he is being dragged to the pits of hell, simply a stunning version of the song. 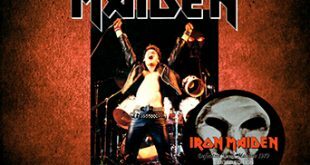 Ozzy gets after the audience to make noise for the beginning of Iron Man, he leads them in a “One…Two…Three…Yeah” chant and gets a nice response, for a Sunday. Children Of The Grave has the Embryo lead in, the crowd are on their feet, something astounding for a song they have never heard but owes much to the killer fast pace mega chunk of a riff by Iommi, Geezer and Bill lay the perfect foundation. Wicked World clocks in at over 15 minutes and features some lengthy guitar histrionics by Tony. What I have always liked about Tony’s solo spot is how he can delve into the haunting interlude of Orchid then moments later go into a barrage of fast played leads in a blink of an eye, sadly there are some digital artifacts at the 8:30 to 9:17 mark. Bill joins in for a brief minute to jam the riff that will become Cornucopia in a year’s time, Tony always seems to take his solo as an opportunity to play great riffs. Paranoid has Ozzy screaming “Yeah…Beautiful” at the beginning, obviously they have won Toronto Rock fans over as they clap along with the band during the set ending hit. Fairies Wear Boots is the encore, again the band hammer it out riding high on a wave of energy, simply a well played concert. The packaging is a significant upgrade to the old Wicked Sabbath title that featured plain one sided cover, a white CD and plain back cover. 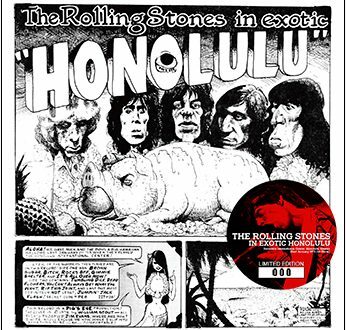 Zodiac uses Master Of Reality style graphics imposed over a black and white shot on the cover. The other four pictures are all early 70’s posed shots, I have not seen the one on the back of the front cover, the group standing by a candle opera draped with the Union Jack flag, very cool. While the sound is certainly a nice upgrade, the digital noise in Wicked World is a bummer and while it does not ruin this release, certainly knocks it down a few points. This is definitely a great upgrade over the old Wicked Sabbath bootleg especially in side by side comparison. There is still some fluctuations in sound and volume but I think that has more to do with it being an outdoor show than anything else. A great release from Zodiac and highly recommended. Thanks for the great review relayer67.